Team Cook says SOLD IN HOURS!!! TEAM COOK JUST LISTED THIS FANTASTIC RANCH-STYLE ON ALMOST 5 ACRES! EXQUISITE RANCH-STYLE HOME IN WINDSOR JUST LISTED!!! STRATEGIC MARKETING PLAN BRINGS IN 2 OFFERS! STRATEGIC MARKETING SYSTEM BRINGS IN 6 OFFERS!!! Team Cook Says SOLD to another home in Johnstown! TEAM COOK AT THE COTTAGE REALTY SAYS SOLD TO ANOTHER BERTHOUD HOME! IN-LAW / GUEST QUARTERS BACKING TO OPEN SPACE! A BIG THANK YOU TO OUR COTTAGE FAMILY! UNDER CONTRACT & SOLD IN 31 DAYS! Team Cook Saves Another Homeowner From Forclosure! UNDER CONTRACT IN 26 HOURS!!! Ranch-style Home in Hunter's Run Now For Sale! TEAM COOK SELLS ANOTHER HOME IN MILLIKEN! LOVELAND RANCH STYLE HOME FOR SALE NEAR EDGE OF FOOTHILLS! FANTASTIC RANCH-STYLE HOME IN GREELEY NOW FOR SALE! Kevin Cook caught hanging out with Max Weinberg from the E Street Band! Team Cook member Kevin Cook was caught hanging out with "Little Stevie"! 3 Car-Garage * Hot Tub * Custom Bar * RV Parking! Perfect home near Greeley now for sale! BEAUTIFUL HOME NESTLED AT THE EDGE OF THE FOOTHILLS! Greeley Home Sold in One Day! Johnstown Home Just Sold by Team Cook at The Cottage Realty Ltd. Luxury home in Prestigious Ptarmigan Country Club Now For Sale! Team Cook sold another great home in Mead, Colorado! IT'S A NEW YEAR...MAKE IT YOUR BEST EVER...TIP #3! IT'S A NEW YEAR...MAKE IT YOUR BEST EVER TIP #2! SUPER ENERGY EFFICIENT BUILT-GREEN HOME IN FANTASTIC FOOTHILL SETTING! HOMES ARE MOVING IN 2012! LIKE NEW W/ ALL THE WORK DONE! Team Cook just listed this "MUST SEE" ranch-style home! FORT COLLINS HOME UNDER CONTRACT IN 1 DAY!!! Ranch-Style Home in Fort Collins Now FOR SALE!!! Enchantment Ridge Home Just SOLD!!! ENCHANTMENT RIDGE FLYING HOME EVENT HAPPENING THROUGH THE END OF DECEMBER! Congratulations to our Facebook Friend Don Goldware! First-time homebuyers purchase in Enchantment Ridge & receive high incentive! IS IT CHEAPER TO BUY OR RENT?! A SOUGHT-AFTER DESIGN NOW FOR SALE! Beautiful Ranch Minutes from Golf Course! FANTASTIC 2-STORY IN COLLINDALE NOW FOR SALE! 5 Bed, 4 Bath & backs to 300 acres of Open Space!!! Greeley Home "JUST SOLD!" by Team Cook! Greeley Estate - JUST SOLD by Team Cook! Team Cook sold this home in 14 days! NORTHWEST LOVELAND TOWNHOME JUST LISTED! FANTASTIC GREELEY HOME JUST LISTED FOR UNDER $170K!!! Short Sale Success in Johnstown, Colorado! Superior Solar Home For Sale! Home for Sale in Ft. Collins Colorado! ELEGANT RANCH NEAR FOOTHILLS NOW FOR SALE! Loveland Home Sold by Team Cook! VICTORIAN-STYLE HOME FORMERLY FILMED BY HGTV! Short Sale in Wellington...Team Cook Says "SOLD!" Build Your Dream Home in Kendall Brook! Homes in Northern Colorado - SOLD!!! Timnath Colorado Homes - SOLD!!! Homes for Sale in Evans Colorado! Loan Modification Made Easy...I DON'T THINK SO! IS NOW THE BEST TIME...??? New Homes For Sale in Timnath Ranch! HOMES FOR SALE IN GREELEY, COLORADO! Homes for Sale in Erie, Colorado! Homes For Sale in Loveland, Colorado! Are there million dollar foreclosures in Northern Colorado? Cost Saving Tips for the Winter & Still Stay Warm! Homes for Sale in Longmont, Colorado! HOMES FOR SALE IN WINDSOR COLORADO! ANOTHER HOME SOLD IN MILLIKEN COLORADO! HOMES FOR SALE IN PLATTEVILLE COLORADO! MISSED OUT ON THE $8000 TAX CREDIT?! YOU ACTUALLY MAY HAVE GAINED!!! "The results of selling above our asking pirce all in a "down market"?!! Wow!" Another Successful Short Sale Closed! UNDER CONTRACT IN 2 DAYS!!! 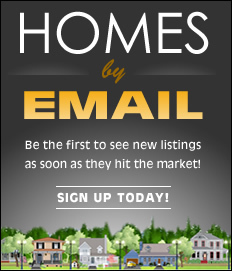 Homes for sale in Greeley Colorado! "All my neighbors were astounded at how quickly the property sold, in a very difficult market"
"Team Cook at Cottage Realty has been very helpful in my short sale experience"
"I was forced to do a short sale due to the recession..."
"Thank you for telling me a better way than foreclosure"
"The Short Sale was completed in record time.."
"You gave us a real solution to our terrible situation"
"You saved me from foreclosure.."
"The Team did all the work and made it easy on us in such a hard time"
"..Thank you for all the support and help I received from you and your team during this trying time.."
"...I was on the verge of foreclosure..."
Sold Homes in Berthoud Colorado! SOLD HOMES IN LOVELAND, COLORADO! ANOTHER SUCCESSFUL SHORT SALE IN LOVELAND, COLORADO! Dave Ramsey's Financial Peace University Class hosted in Berthoud! Homes Sold in Longmont, Colorado! DOES A SHORT SALE REQUIRE YOU TO PAY MORE TAXES?! 4493 Hayler Avenue in Loveland, Colorado - SOLD! A Short Sale Success in Loveland, Colorado! Windsor Colorado Real Estate Just Sold! What hardship is acceptable for a lender? Heart Healthy Recipe for Valentine's Day! A Short sale success in Berthoud! A Short sale is better than a foreclosure! A short sale success in Loveland! Team Cook you're my HERO'S! Vital Information for First-Time Buyers! October 2009 DID YOU KNOW??? Ground Breaking News for Ponderosa Elementary! Check out Thomson School District CSAP Reports for 2009! Possible Homebuyer Tax Credit Extension! Building Better Homes for a Better Life! FALLING BEHIND? WE CAN HELP! WHY SHOULD BUYERS BUY IN TODAY'S REAL ESTATE MARKET? What is a Short Sale and is it something you should consider?